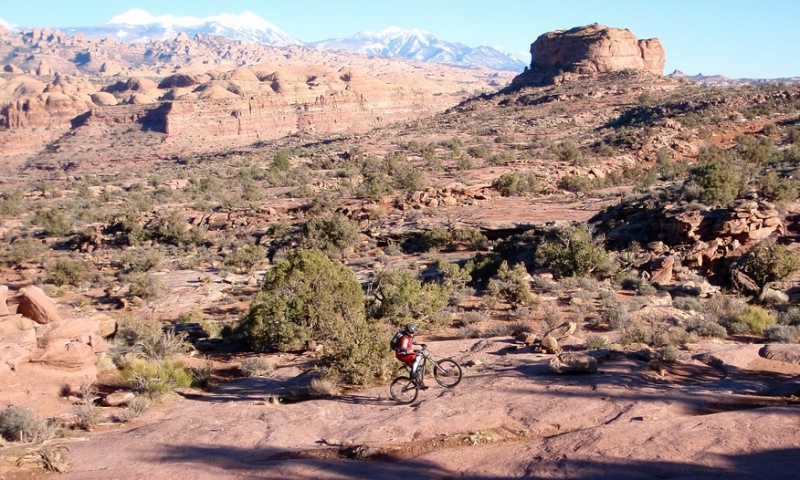 The Amasa Back area is often listed as a favorite trail in Moab. Back in the day it was just a jeep road (Cliffhanger) but has since morphed into an exciting ledgy network of trails great for mountain bikers and 4x4s. This trail area quickly becomes a choose your own adventure. For 4x4s and jeeps, Cliffhanger is your primary trail. For mountain bikers, you can either follow Cliffhanger and the classic Amasa Back trail or pick and choose as you go. From the trailhead, you can either follow Cliffhanger, the primary jeep road, or you can take the Hymasa Mountain Bike trail on the left. Hymasa is an easier but still challenging singletrack climb where Cliffhanger is a fun ledgy and rocky challenge. These two trails zigzag back and forth so while it's obvious how to stay on Cliffhanger, you'll have to keep watch for Hymasa. Towards the top of the climb Hymasa comes to a junction where mountain bikers can decide to head back down, try out the very difficult Captain Ahab downhill, or continue along Cliffhanger/Amasa Back. If you continue along Amasa Back get ready for a short and steep downhill hike-a-bike section and a crazy thrilling 4x4 section. Following this the trail starts a slow a steady climb to the top where it overlooks the Colorado. An offshoot to the Pothole Arch can be enjoyed by mountain bikers near the top for an extra 2 miles or so of riding. And, finally, from Pothole Arch check out ledgy rocky exposed Rockstacker, which will bring you back to the Hymasa junction. Distance: Amasa Back/Cliffhanger is roughly 9 miles round trip. Hymasa/Captain Ahab is 9 miles as well. Average Time: Plan for 3 to 5 hours depending on your route and skill level. Elevation Gain: About 1400 feet. Trail Type: Out and Back or Loop, depending on your route. 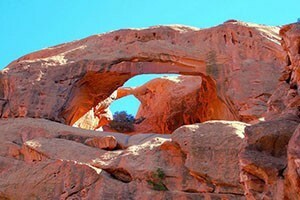 Trailhead: From Moab, head out Kane Creek Road to the Amasa Back Trailhead and park. Continue up the road for a short climb along the pavement until you reach the actual trailhead on the right. 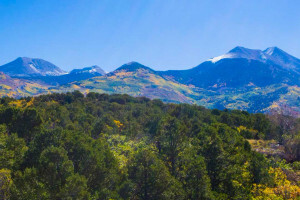 You won't want to be on these trails if it's raining or threatening to rain. In the summer, make sure to go early in the morning or later in the day to avoid the direct sun along this exposed trail. Grab a map at a local bike or ATV shop or have a guide show you the way.